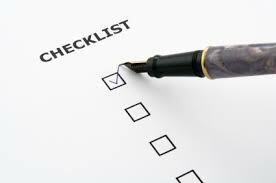 Does Your Storage And Moving Company Fulfil This Checklist? Here’s a list of things that will help you choose the storage and moving company. Already hired a storage and moving company? Then check whether your company stands true to this checklist, right away! Before choosing a storage and moving company, check whether they are reliable. How will you do that? By speaking to the company’s past and present consumers. How have their experience been with the company and its service? It is recommended to get a free, no obligation estimate from at least four individual storage and moving companies. This will give you an idea about the actual rates (average) for a particular kind of service. Once you are clear about the estimates, jot it down. Compare these estimates from different companies. Choose the one that offers the best overall price and service package (Make sure you don’t compromise an iota in terms of quality and security). Also, don’t be in a hurry to decide basis just the lowest quotation. Look for overall value you will get and weigh the perks. Get a lot more information on the best moving and storage services from Beirut International Movers for a absolutely secure move to your new destination.